With so much speculation about Eden Hazard’s future at Chelsea, we have to come forward and say that the Blues don’t need him that much. Although Eden Hazard has been one of Chelsea’s best players of the last five years, the Belgian winger can leave without a problem. Chelsea FC has always been one of those struggling clubs that spend inhumane amounts of money to win titles anyway. The London squad is led by Roman Abramovich from the very top with an iron hand and mountains of power translated into money. If Chelsea needs another world-class star for the future that can replace Eden Hazard, all they have to do is spend some money. But stop fooling yourselves with this illusion Blues fans. Eden Hazard has never really been a player who can conjure memorable performances in the Champion League. Eden is a player who needs better players to accompany him in order to succeed in any competition. Despite Chelsea could buy the likes of N’Golo Kante more recently, the Frenchman has been the only truly top player who came to help Hazard win more titles. Just when everything seemed to be working out for them, things crumbled apart again when Maurizio Sarri arrived to take Kante out of the position that made him a champion for club and country. Eden Hazard has grown tired of not winning the biggest medal he is looking for. Chelsea simply hasn’t been able to provide that success for the Belgium international. 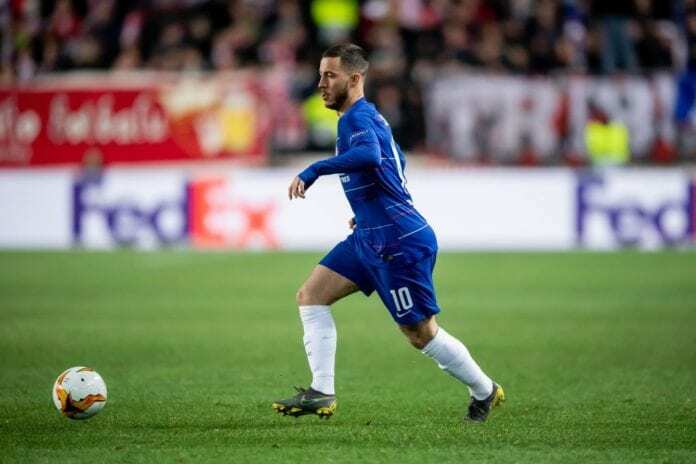 What the Blues ought to do is sell Hazard for the highest price possible to Real Madrid and start searching for their new big star when they are able to sign after their ban is passed. There are countless players whom Roman Abramovich and all his money could buy without hesitation. We just saw Benfica’s Joao Felix delivering a memorable performance against Eintracht Frankfurt, he is only one example of many. Granted, there aren’t many players with a similar set of skills that Eden Hazard has but there are many more options on the market. 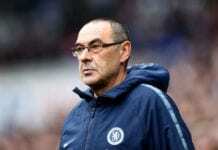 Manager Maurizio Sarri will keep his position as the manager next season if he gets some silverware or finishes Top-Four this season. Having some more time to plan the next season is something that the boss wants but he has to sell Hazard before the summer starts. If Chelsea doesn’t get rid of the Belgium international in time, there will be consequences to pay. For one, Eden obviously wants to leave as he’s stated repeatedly. Not fulfilling the player’s wishes could be detrimental for Chelsea next season, selling him is the only option now. The money earned from his potential transfer will help the Blues buy a great player when the time comes. Maurizio Sarri will obviously need to pinpoint the players he wants and follow them during the ban period to see how they evolve. Although this season hasn’t been extremely bright for the Blues, there is no doubt that his players are improving. The only man who had the perfect idea was Jorginho because he came with the experience of playing under Sarri. The reality is that Eden Hazard’s permanence at Chelsea is only delaying the inevitable. The healthier option for both parties is to let him leave as soon as possible. Hopefully, the announcement of Eden’s departure comes on the very next day after Chelsea ends the season. The Blues won’t make anything official as long as they remain competing in any other tournament. The club understands that they don’t want to create any distractions for the Belgian player to see if he is capable of winning one last trophy for the Blues. Leaving on a positive note from the club that gave him everything is essential for Hazard. But make no mistake Chelsea fans, Eden Hazard must leave the club by the end of this season. Deal with it. Do you agree with this unpopular opinion, or should Eden Hazard remain at Chelsea? Please share your opinion in the comment section down below.